The highest teaching in the world is silence. There is nothing higher than this. A devotee who sits with a sage purifies his mind just by being with the sage. The mind automatically becomes purified. No words exchanged, no words said. Silence is the ultimate reality. Everything exists in this world through silence. True silence really means going deep within yourself to that place where nothing is happening, where you transcend time and space. You go into a brand new dimension of nothingness. That’s where all the power is. That’s your real home. That’s where you really belong, in deep silence where there is no good and bad, no one trying to achieve anything. Just being, pure being. 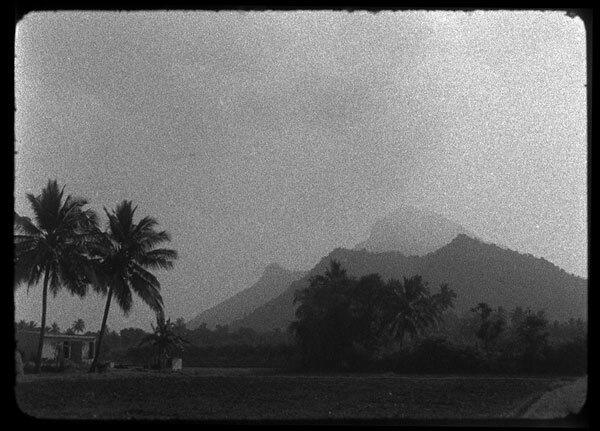 WHEN I CAME to the work of Robert Adams, I had had a surfeit of nonduality teachings and was utterly exhausted by my weary wayfaring along the so-called spiritual path. Furthermore, I felt no closer to any ultimate understanding, let alone any inner state of tranquillity, equilibrium or peace. 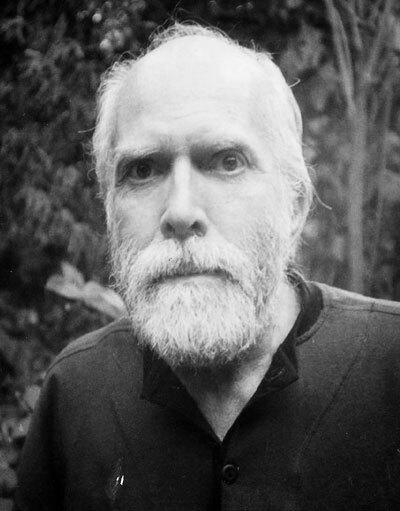 Alan Jacobs, President of the Sri Ramana Maharshi Foundation, London, had always told me that he considered Robert Adams to be a self-realized jnani, having stayed with him in Sedona, Arizona, and experiencing first-hand the depth and stillness of his presence shortly before Robert’s death. Having had the privilege of meeting many satsang teachers over the years, I was devastated not to have had the opportunity to have met Robert, particularly as he was a devotee of Sri Ramana Maharshi and had lived in the Ramanasramam for the final three years of Bhagavan’s life. anything else in this world. When I say want it more than anything else in this world, I don’t mean in a ‘I don’t have it sense and I want it’. I mean to feel, and believe, and know, that you are That. And you want that to be uncovered for you, by going deeper all the time, by letting go of all the things that seem to be happening in life, continuing to dive deeply within the Self. You dive deeply within the Self to the extent that you give up the stuff that you’ve been carrying around for years. There is no one who cannot awaken. Since your real Self is already awake, there is nothing that can keep you back but your self. By the self, I mean your mind, your thoughts. Your thoughts are the only thing that keeps you back. You have to look at these thoughts and not allow them to do anything to you. Do not allow them to frighten you. You have to remember to practise Self-Enquiry. To enquire, ‘To whom do these thoughts come?’ To always think in your mind, there are no thoughts. All these thoughts are a mirage. Remember, you use your mind to destroy your mind. You introvert the mind upon itself. When the mind is introverted upon itself, it disappears, for it never existed. But when the mind is extroverted, then you are alive and well in the world, going through all types of experiences. In school they taught you to be extroverted, to have an outgoing personality. What has it done for you? It made us all into a bunch of idiots. Look at the world in which we are living. See what’s going on. Look at our figureheads, government officials, state officials. These are all extroverted people. We have been told that to be introverted is to be a loner and you never get anywhere. Where do you want to get? If these people only realized that the world in which they are playing is all karmic. In other words, everybody is in their right place, where they are supposed to be. There are no mistakes. So these people do not believe they’re not a body and the world does not exist but they believe there are bodies, and there is a world and a universe. They should accept the fact that karma is the ruler of the universe and everything that appears to be is karmic in effect. This is why I always say there are no mistakes. For you are where you are supposed to be in accordance with the laws of karma. But do not keep thinking about getting rid of karma, for you will have a battle on your hands. You have to grow out of this and see that karma never existed and does not really exist. So just wake up. Awaken. Robert Adams (21st January 1928–2nd March 1997) was an American Advaita teacher, who was born in the Bronx and grew up in New York City. 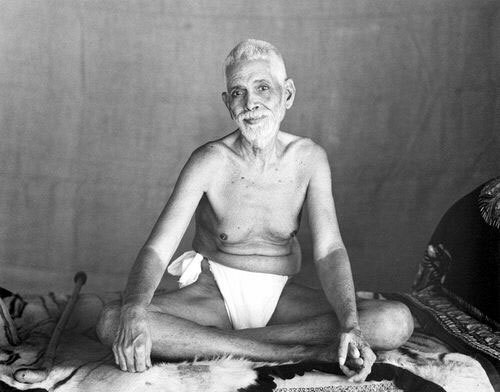 From the age of a young child, he claimed that he had visions of a white-haired, bearded man who would sit at the foot of his bed talking gibberish; he would later discover that this apparition was in fact Sri Ramana Maharshi. Then, at the age of seven, Adams’ father died suddenly and the visitations stopped. Instead of the answers coming, the room filled with light, a thousand times more brilliant than the sun. It was like an atomic bomb but it was not a burning light. It was a beautiful, bright, shining, warm glow. Just thinking of it now makes me stop and wonder. The whole room, everybody, everything was immersed in light. All the children seemed to be myriads particles of light. I found myself melting into radiant being, into consciousness. I merged into consciousness. It was not an out-of-body experience. This was completely different. I realized that I was not my body. What appeared to be my body was not real. I went beyond the light into pure radiant consciousness. I became omnipresent. My individuality had merged into pure absolute bliss. I expanded. I became the universe. The feeling was indescribable. It was total bliss, total joy. The next thing I remembered was the teacher shaking me. All the students had gone. I was the only one left in the class. I returned to human consciousness. That feeling has never left me. 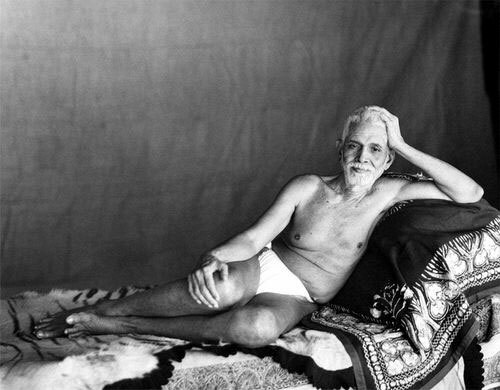 After his enlightenment, Robert attended sermons by the Christian mystic, Joel Goldsmith, in Manhattan and then travelled to Encinitas, California, to be initiated as a monk by Paramahansa Yogananda at the Self-Realization Fellowship; however, Yogananda advised Robert that his true satguru was Bhagavan Sri Ramana Maharshi. 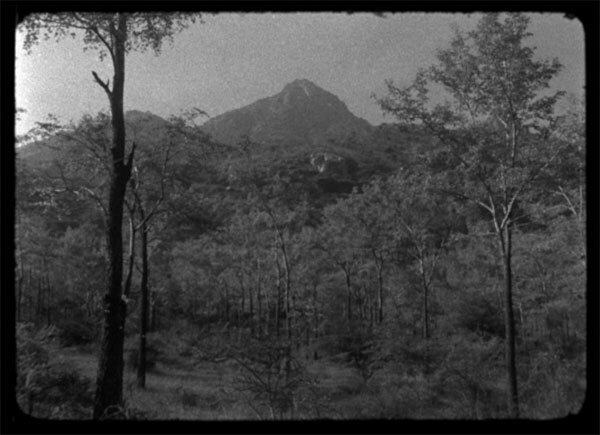 A bequest of $14,000 from a recently deceased aunt thus enabled Robert to set off to India in 1946 for the holy mountain and an encounter with the great sage that would help him fully understand and integrate his own experience of liberation. It’s fine for me to sit here and say the world doesn’t exist, nothing exists, but when you walk out of this door the world hits you right in the face. Some of you become depressed because you have to go home by yourself, perhaps. You wish you had a relationship. Some of you feel depressed because you have a relationship and you wish you were alone. Nobody is happy. Everybody thinks something is wrong with their life. Some of you are depressed because you can’t get enlightened. Think about what you’re doing. Think about what you’re feeling. So we begin with a programme. And from my own personal experience, I found that Self-Enquiry is the fastest way to awaken, for some people. Therefore, you passionately get yourself involved in Self-Enquiry. As I said before, it is true that listening to these words and realizing that everything is consciousness can awaken you. But this is only if you are prepared. By prepared I mean you’ve already transcended all the things we were talking about, all of the emotions and all of the fears, all of the hurts and all of the frustrations. If you have already transcended these things then that’s all you’ve got to do. All you have to do is hear the word and you’re awake. But for most people it doesn’t work this way. Therefore, you have to practise some form of sadhana. Self-Enquiry becomes very useful. You simply allow thoughts to come to you and you enquire in a gentle way, ‘To whom do these thoughts come? Who is thinking these thoughts? I am.’ You wait and you enquire sincerely, ‘Who am I? What is the source of this I?’ When I say you have to dive within yourself, that’s how you dive within yourself. People often ask me, ‘How do you dive within yourself?’ That’s how you do it. You enquire, ‘Where does the I come from?’ The I is deep, deep within yourself. ‘What is the source of the I?’ Then thoughts will come to you again and you repeat the same thing over again. ‘To whom do these thoughts come? They come to me. Who is this me? What is the source of me?’ Me and I are synonymous. ‘Where does the me come from?’ You do it over, and over, and over again. You do not look for a time. Forget about time. Do not worry about anything. You simply sit still. Do not try not to think, for if you try not to think you will have thoughts that you can’t get rid of. You will be full of thoughts if you try not to think. You do nothing, absolutely nothing. You’re watching the thoughts come. As soon as the thoughts come, in a gentle way you enquire, ‘To whom do these thoughts come? They come to me. I think them. Who is this I? Where did it come from? How did it arise? From where did it arise? Who is the I? Who am I?’ You remain still. The thoughts come again. You do the same thing again, and again, and again, in a gentle peaceful way. Robert would stay in India for the next twenty or so years, visiting other jnanis, such as Nisargadatta Maharaj, Anandamayi Ma, Neem Karoli Baba and Swami Ramdas, returning to the States in the sixties and finally settling in Sedona until his death at the age of 69. He always maintained that his satsangs were merely the “confession of the jnani” through the physical embodiment of Robert; he never himself claimed to be a teacher, preacher or philosopher, adding that he had nothing new to say. Indeed, his nondual message had already been elucidated in the Advaita Vedanta doctrine as taught by Sri Adi Shankara and Sri Ramana Maharshi. Robert was relatively unknown in his lifetime; only a handful of devotees would regularly sit with him in his modest home. 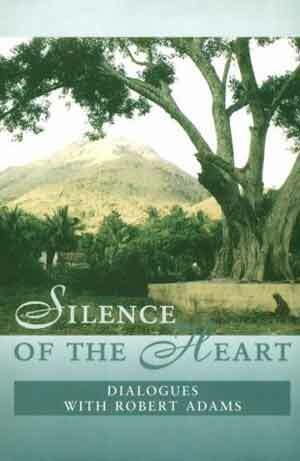 Transcripts were made of his talks for the exclusive use of his followers but which were later published posthumously as Silence of the Heart: Dialogues With Robert Adams. When you really understand who you are you will experience unalloyed happiness. Happiness that you only dreamt about. Happiness in the silence, where nothing is happening, but you’re happy, always happy, always at peace. All of the gods that you’ve been praying to all of your life, all of the buddhas you’ve taken refuge in, the Krishnas, the Kalimas, the Shivas, the Christ, Allah, they’re all within you. You are That! There is no God that is external to you. There is no Buddha and God and you. There is only the one Self and you are that. Ponder this. We all want to be happy. How to become happy, what do we have to do? Sit by yourself, go deep within yourself and realize the truth about yourself, which is: you are not the subject or the object. You are not the seer or the thing seen. You are the witness to all these things. The witness, everything you see. You watch, you look, you observe. And yet, you’re not the watcher, you’re not the looker, you’re not the observer. You’re like a clay pot. A clay pot has space inside and outside. The space inside is not any different than the space outside. When the clay pot breaks, the space inside merges with the outside. It’s only one space. So it is with us. Your body is like a clay pot and it appears you have to go within to find the truth. The outward appears to be within you. The outward is also without you. There’s boundless space. When the body is transcended, it’s like a broken clay pot. The Self within you becomes the Self outside of you. The Self merges with the Self. Some people call the inner Self the atman. And yet it is called Brahman. When there is no body in the way, the atman and the Brahman become one. They become Brahman, one-ness, absolute reality, pure awareness. They become free and liberated. Like many fellow travellers, I have read a lot of books, attended many meetings, pondered—and often pontificated—over many things. So when I found Robert’s material, or perhaps I should say when the material found me, I knew instinctively that the searching was finally over. Perhaps it is Robert’s witty asides, his no-nonsense directness, his compassionate and simple approach. And yet, unlike many New Age/Neo Advaita perspectives, his teaching is grounded in the nondual theory of Advaita Vedanta, with a specific practice on how to control the mind through Self-Enquiry (Atma Vichara), rendering it not only gravitas but with the power to produce palpable results. Moreover, he somehow manages to cut through the verbiage of theory and intellectualizing that only someone who has transcended their own mind is able to do. Indeed, to be in, and imbibe, the presence of someone who emanates the most profound and ineffable silence—albeit paradoxically secondhand through the medium of the written word—can be the only thing in life that ultimately has any meaningful worth. You must want to be free. It must become first with you before anything else. Everything that you’ve done all your life, is only a game, a game you’re playing with your self, only it seems to be real. The only reality is the Self and you are That. Why look for anything else? Everything else will take care of itself. You’ve got to abide in the Self, just in the Self. Everything else will take care of itself in a beautiful way. You are boundless space, like the ocean, like the sky, all-pervasive. This is your real nature. But for some reason you believe you are a body, confined to a small space. This is not you. It’s illusion. You are all-pervading absolute reality. This is your true nature. This is who you really are. Just by thinking about these things all the time, something begins to happen to you, something wonderful. Do not think about the weather, or about the day’s work or your problems. For all the thinkers, who thinks? Find out who has the problems? Find out who you really are, who am I? It’s up to you to awaken from this mortal dream. You can keep on going like you are right now, with the good things and the bad things. Yet you live in a universe of dualities, which means for every good there is a bad. For every bad there is a good. It’s a false world in which you live. You need to awaken to this truth. Be aware of yourself, always. The world goes through its own karma. It has absolutely nothing to do with you. You belong to God. Everything you see is God. This is why you should be nonjudgemental. Leave everything alone. By practising these things, you become radiantly happy. Everyone wants something. If your mind stops thinking, what happens? Some of you believe you will not have anything, that you will have more problems. But it’s in reverse. You experience bliss, joy and happiness when you don’t want anything. From what we know, people want something and when they get it, they become more miserable than ever before. Nothing is wrong. Everything is right just the way it is. Do not try to understand this or figure it out. Leave it alone. It will happen by itself, by keeping yourself quiet and still. You quiet the mind because of realization. Let it be calm. In all situations be calm. Let it be still and quiet. The world doesn’t need any help from you. Aren’t you the world, aren’t you the Creator? You created the world the way it is. It came out of you, of your mind. The world that you are in, is a creation of your own mind. When the mind becomes still, the world begins to disappear. And you’re in divine harmony and joy. Therefore, happiness comes to you when you stop thinking, when you stop judging, when you stop being afraid. When you begin to contemplate what is happiness. All the answers are within you. Everything you’re looking for is within you, everything. power of the universe is within you. You have all the power you need. All is well, exceedingly well. It has always been well, it will always be well. When you leave here today act like a god or a goddess. Do not act like a human being any longer. Stop feeling sorry for yourself, saying you’re unhappy. Stand up tall. Know the truth about yourself. Become the witness of all phenomena that you see and be free. Peace.